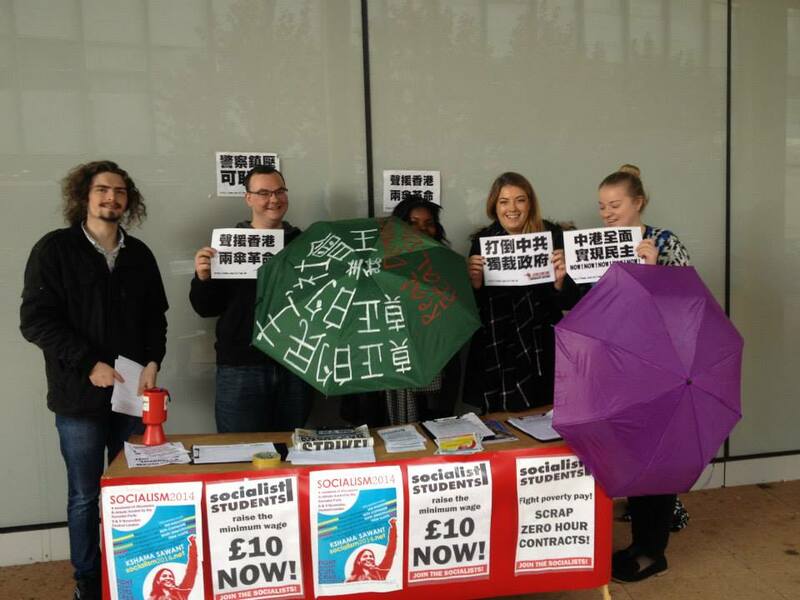 Coventry Socialist Students took to the streets this week to talk to students about the protests that haven taken place in Hong Kong in the pursuit for true democracy. We set up our stall in the main courtyard on campus, where the main hub of activity takes place. For the first 20 minutes we distributed leaflets, petitions and having great conversations with students about the events taken place and the actions of Socialist Action in this tremendous movement. However it wasn’t long until two police officers showed up to inquire into what we were doing, we explained and they asked if we could move off university property. We declined that option after stating as students we had the same right to use this student space like anyone else. Two more university security staff members came and eventually two members of university management afterwards, when the dust settled and all the excitement of police, security and university workers inquiring into our activities was done we carried on as usual. 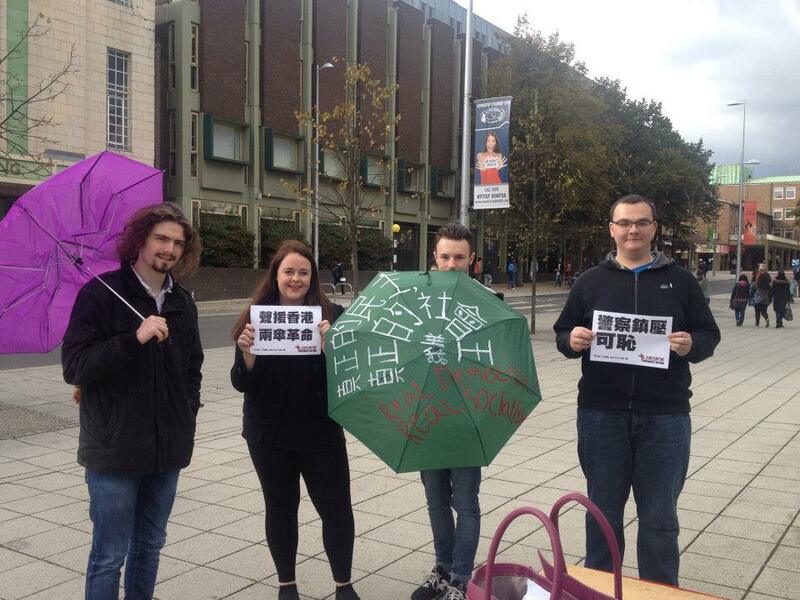 The day carried on with dozens of students taking photos holding Socialist Action slogans and umbrella’s to demonstrate solidarity with the brave individuals using umbrellas to defend themselves whilst facing the rubber bullets and tear gas being used upon them by Chinese authorities. 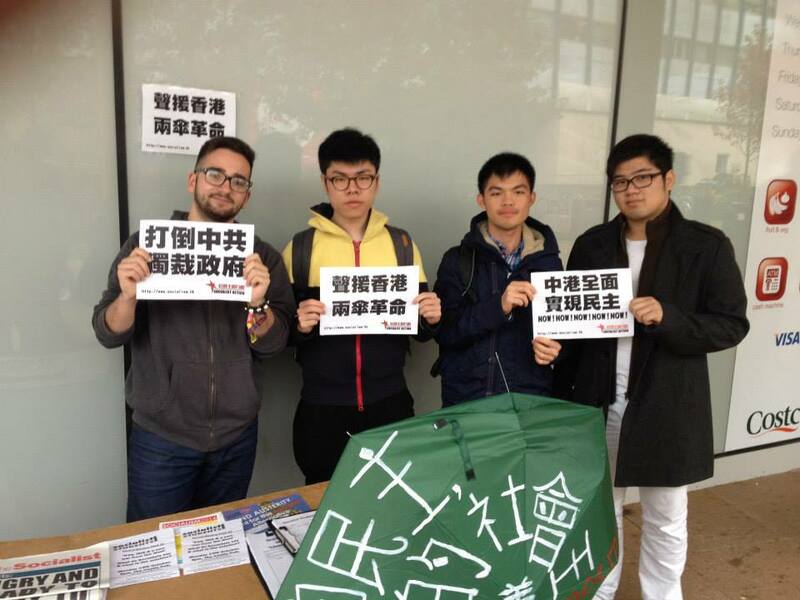 We had students from all different backgrounds and countries (including mainland China & Hong Kong) approaching us on this issue. 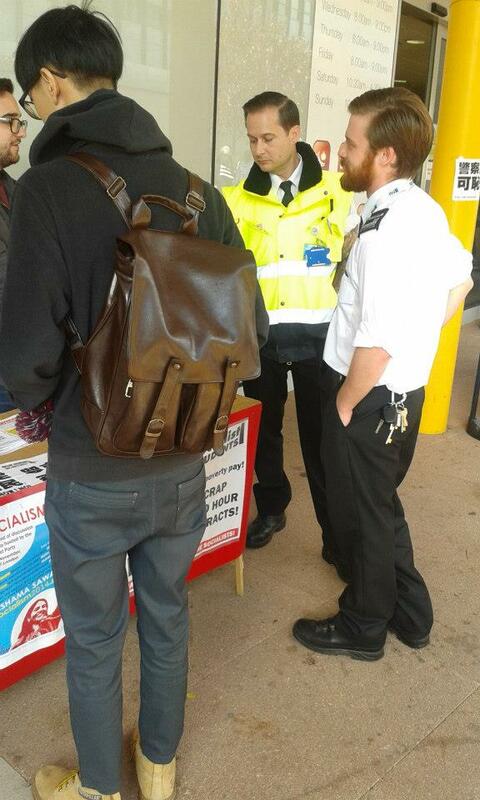 Alongside the great show of support, we also made over 10 contacts and a number of papers sold. In regards to social media, dozens of Chinese students took photos to share with family back home, within hours over 1000 people have clicked to view our photo album of the stunt on our Facebook page and counting. Many other students identified with the need for an alternative form of society, a socialist society where democracy is more than just a dream for some but a reality shared by all.